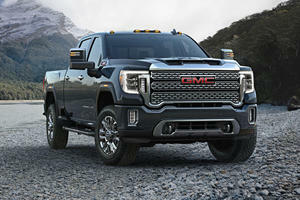 With strong competition, it’s good to know the GMC Sierra 2500 is a great heavy duty truck with good ride quality and refinement. Three body styles are on offer, with Regular Cab and Crew-Cab models book-ending the range and a Double Cab offering compromise between the two. 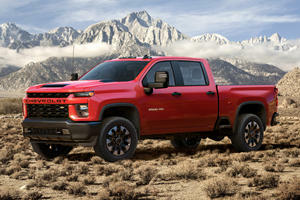 A standard 6.0-liter V8 engine develops 360hp in all models, with the option available for a 6.6-liter turbo-diesel V8 with 445hp and 910 lb-ft of torque. 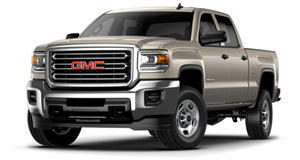 Stability control encompasses trailer sway control, and the Sierra 2500 features a full suite of airbags. Global warming? Never heard of it. 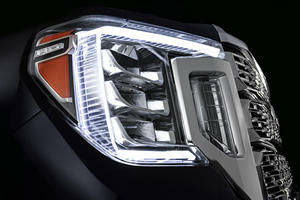 Good news if you want a heavy-duty truck from GM.